1. I could make a big pillow out of this stuff and fall asleep on it like a baby! 2. It felt so soft in my hands and definitely on the bum, such a pampering bath tissue. 3. The design is adorable, it has little clouds embossed all over each roll which adds a bit of casual style to the bathroom. Those little clouds give the toilet paper just the right amount of texture for a clean wipe. 4. It is a strong bath tissue, every fiber is working hard inside of it to get you the best clean! 6. Absorbency is a big one and the White Cloud Luxuriously Soft did not disappoint! I found that we could use only a few squares per wipe and it performed beautifully. 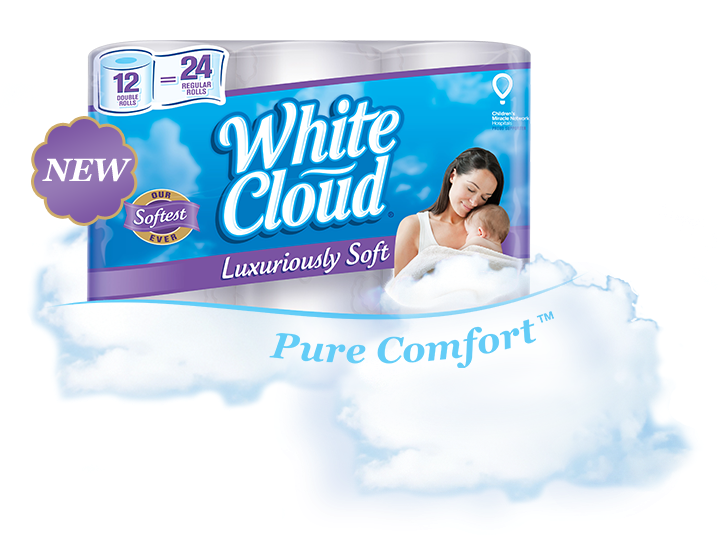 I definitely recommend this premium bath tissue mysteriously made from the softness of clouds!